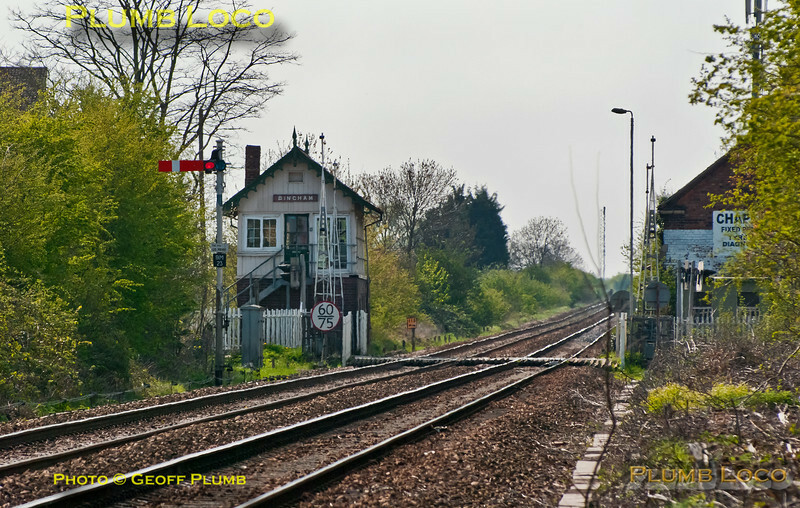 The signalbox at Bingham level-crossing was a Great Northern Type 1 box opened in 1875 and extended in 1922 with a forty lever frame. It still operated a few semaphore signals on the line between Nottingham and Grantham at this stage. The box closed during 2015 and was subsequently demolished. 16:07, Thursday 2nd May 2013. Digital Image No. GMPI15455.